Waugh’s brilliant 1938 novel was intended as a spoof, one that was supposed to mock Great Britain’s patrician elites and their imperial follies. But over the decades something strange has happened. This mindset — that the wealthy and powerful are manipulating world events for their own benefit — has gained traction around the world, not least in Germany. Indeed, it’s difficult to avoid the sense that the US is now a nation under suspicion. America, in German eyes, seems to consist of the following: a media that serves the powerful and the powerful alone. Then there is the Iraq War. And, of course, Abu Ghraib. Add on the NSA spying scandal and reflexive support for Israel. Not to mention the death penalty and Christian fundamentalists run amok. The bill of indictment only seems to get longer with each week that passes. What we’ve witnessed in the past few months, in other words, is something that neither Germany nor the United States can afford. More binds the two nations than separates them. They share both moral and geopolitical interests. The Atlantic partnership isn’t just a phrase, but something that has been an enduring reality since the end of World War II. But absent the rise of Vladimir Putin, who has turned into NATO’s leading recruiting agent, the alliance might well have continued to crumble. Instead, the return of geopolitics has conspired to provide Berlin and Washington with a chance to make a fresh start. The first thing that both countries need to acknowledge is that they have been here before. 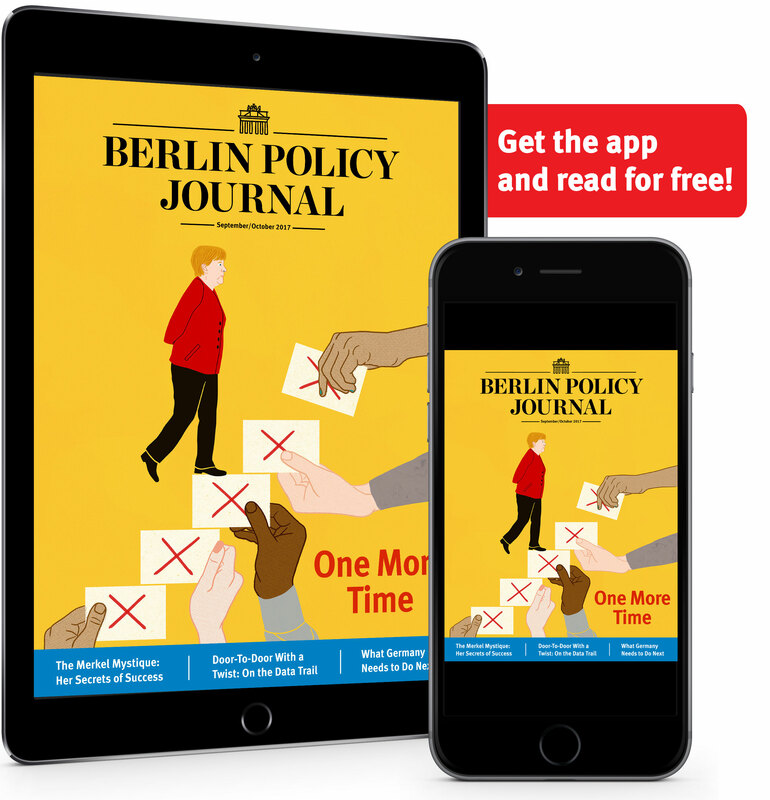 Germany’s postwar history has been a protracted process of acknowledging painful realities that it would rather ignore, from rearmament in the 1950s to the NATO Double-Track Decision in 1983, when the German left lashed itself into a frenzy over the Reagan administration’s alleged plans for turning Central Europe into a testing ground for nuclear war. The blunt fact is that arms did not lead to warfare. They helped prevent it. A word that might be helpful for both Germany and the United States to remember is deterrence. No new world war broke out from 1949-89. The peace held. Preemptive war was not necessary. George F. Kennan’s policy of containment worked. The deterrent deterred. Many Germans, however, clearly drew a different lesson. They saw the Cold War as a cul-de-sac from which they narrowly escaped the clutches of the Americans as much as the Russians. They were now liberated to pursue … what? Freedom from the memories of the Nazi era? No. Unlike Japan, repentance for war crimes remained, and remains, at the center of modern Germany’s identity, perhaps more so than ever. It did not go unnoticed abroad that Chancellor Angela Merkel refused to allow Beijing to turn the Holocaust memorial into a publicity stunt for its rulers to taunt Tokyo. Under Merkel, Germany has experienced a new wirtschaftswunder that is the envy of Europe and America. But the results have not been quite as wunderbar for Germany’s foreign policy. 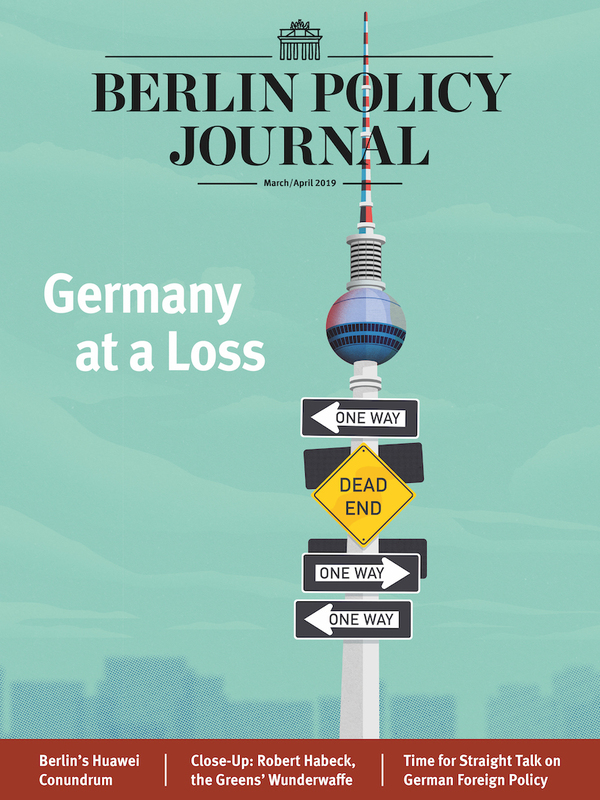 It is seen as an oppressive power in southern Europe, and in the United States the sentiment is that economic prowess has allowed Germany to avert its gaze from foreign policy. Berlin, you could say, turned Germany into a major economic power but shrank from playing more than an ancillary role abroad. It’s hard to avoid the sense that it wanted, and wants, to return to its more traditional role of tipping the scales, to cavort between East and West without making a choice to choose between the two. Up to a point, this worked. But that approach can no longer work — if it ever did — when Russia is taking increasingly aggressive steps to reassert its traditional sphere of influence in Eastern Europe. It’s hard to be a postmodern power when a resurgent one hasn’t even fully reached modernity. Russia’s grab of Crimea strikes more of Frederick the Great’s seizure of Silesia in 1740 than of a satisfied power. Will Putin’s actions be enough to remind Germans of the benefits of their alliance with the West? A recent ARD-DeutschlandTrend survey, which indicates that only 15 percent of Germans consider Russia to be a trustworthy partner, suggests that they might. Nevertheless, this doesn’t automatically mean trust in the United States either. The greatest blunder the US made after the Cold War was to abandon its efforts at public diplomacy and rely solely on the military in its foreign policy. A leading CDU politician recently observed that younger politicians in the ranks of the party simply lack the memory of what America meant to Germany during the Cold War. In those decades, the United States Information Agency, which was foolishly disbanded by the Clinton administration and incorporated into the State Department, would routinely bring over German parliamentarians and young politicians to expose them to the US. A new charm offensive is needed. For the blunt fact is that for all the hoopla surrounding candidate Barack Obama’s appearance at Berlin’s Victory Column in 2008, he has disappointed German hopes in a more transparent and open United States. 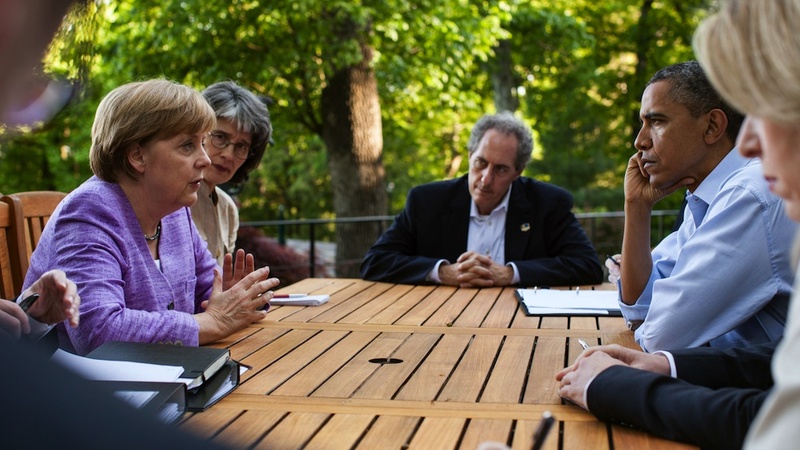 Spying on Germany has clearly lurched out of control — just as it has inside the United States. What Germans should recognize is that the US is not monolithic and that a backlash has already begun domestically against the NSA and CIA. Paradoxically enough, the most virulent opposition to the policies of the Bush administration — which Obama in many respects continued — is being led by the Republican Senator Rand Paul, a Tea Partier with libertarian leanings. The issue of government surveillance figures to be a key one in the upcoming presidential election. So does intervention abroad. The Republican party faces a potential civil war inside its ranks over whether or not it should adhere to a bellicose foreign policy and whether that is really in the American tradition or not. Indeed, it goes beyond that. The popular sentiment in the US is turning against the endless wars that the country has been mired in over the past decade. So the prudent advice to Germany might be to be careful what you wish for. Don’t embrace simplicities about nefarious elites manipulating a bunch of rubes to enter wars abroad. America remains a democracy, one where its policies could shift radically almost overnight. The fact is that America could go from abandoning its own version of blitzkrieg to embracing sitzkrieg. The only thing more aggravating for Germany than a United States that constantly intervenes abroad might be one that doesn’t do anything at all because its alienated by its allies and by the mounting chaos abroad. A fortress America, though, is no solution at all.